Graphic Design is a visual communication language which can be a combination of words or symbols or images representing ideas and messages visually. The subcategory of Graphic Design falls as visual communication and communication designs. Usually the people who are professional in designing and art, who have creativity, conceptual and designing mindset, can design graphics and are called as Graphic Designers. A graphic designer should possess the skills to gather images, typography and/or motion graphics to create a piece of design. Where do we use Graphic Designs? The existence and journey of Graphic Designs started with road signs initially, then it slowly started growing in communications field through electric devices. The development in graphic design domain has enhanced the way of communication through effective designs that is now able to replace texts and give more engaging experience. The knowledge and visual messages are increasingly spread among masses through graphic designs that has enhanced the power of visual messages. The effective visual communication are being used for sharing product information, elements of company identity like logos, colors, packaging and text. Over a period of time, graphic designing has emerged as a branch for advertising. Graphic designers constitute a form of team that works on branding and identity projects. Other team members may include communications consultant, marketing professionals and commercial writers. What are the Top 5 software’s for graphic designers? Recent Adobe Photoshop is having an exciting feature with New Inventive Cloud Libraries capabilities. It also comes with Design Space improvements about previews. The stunning latest user experience on screen allows you to use multi touch supported with device functionalities that is having an added creative options of SVG import boosted export experience. Adobe Illustrator comes with some very advanced and awesome features that user can use to create attractive vector arts with standard of trades using vector graphics like logos, icons, sketches, typography and complex illustrations for print, web, interactive, video and mobile icons shades and many other things. Recent Version of CorelDraw Graphics suite X7 with new workspace reflects our usual workflow that can be used to drag when you need it. This complete suite of graphic design software allows you to design in your own way. Whether you want to edit photos, design websites or creating graphics and layouts, CorelDRAW will help you in all ways. InDesign CC is available with new features such as capability to entrench the links in a website, share it directly through Twitter and email and also getting analytic’s about document views. It can also be used to edit documents and republish it to the same URL. Adobe flash is another great software that makes designer’s life easy and trendy with visual effects having close and attractive looks. One of the major amazing feature of flash is that it allows browsers to play the videos and install some plugins to strengthen animated and visual effects for desired look. Thus, using Adobe Flash lets you to deploy designs, web content, animations and application #user interfaces immediately across all browsers and platforms. This results in a rich #web experience that attracts and engages users. What are other Best software’s available? Above mentioned software’s are popular and very useful one for graphic designers. Apart from these software’s, some other useful software’s are Corel PaintShop, Photo Pro X3, Art Rage 3.5, Adobe Premiere, Wacom Tablets, Corel Paint, etc. Material Design is stated by Google Developers as “A new design language based on paper and ink”. #Material Designs is big chunks of colors, where every element can be assigned a single unique code for access. The awesome feature allowed in Material Design is that “we can access any color by referring a color code for our requirements”, which facilitates a developer to design more effectively and make a boost to application pleasures. The new design trends go for bold color choices, edge-to-edge imagery, large-scale typography and intentional white space that gives a bold graphic look. The vibrant colors inspired by 1960’s favors neons, pastels and richer saturated colors. Geometric patterns and shapes can be applied in many ways such as backgrounds, individual graphic elements or as an illustrative technique. The new emerging style is “Low Poly” that started as a 3D modelling technique for games. This style will continue to show up outside the gaming world in print and web projects. Segmented or modular layouts are being adopted by many big brands for their mobile apps as well as for websites. For this the designs are organized according to grid. The self-contained cards or modules can be used as primary organizational principle that has created the new trend in designing. The new trend in typography is that it is not only for reading but also for becoming the center of attraction that can attract readers through bold colors, big textures or arrangements. The loud and lively typography creates an eye-catching and engaging content. The graphics are mostly being replaced by customized illustrations and imagery. Generic look is considered as outdated by designers as well as business owners. Brands and other businesses are emphasizing on design-centric approaches. This has led to more personalization of imageries and illustrations. The styling trends are growing more towards minimalism and distorted or deconstructed recognizable forms. The styling may involve vibrant colors but the text is kept minimum and primary visuals are made by mixing vague organic shapes and abstract. At Krify our exclusive team of Graphic designers brings the idea to reality by shaping it with their designing skills. Designing an app or website needs some creative bent of mind. Our designers converts their creativity into reality by using latest tools and trends of graphic designing. Contact us to hire our designers to get your website or apps designed for engaging user experience. We have a complete team of designers to developers that will bring your idea of app development or website development to life. 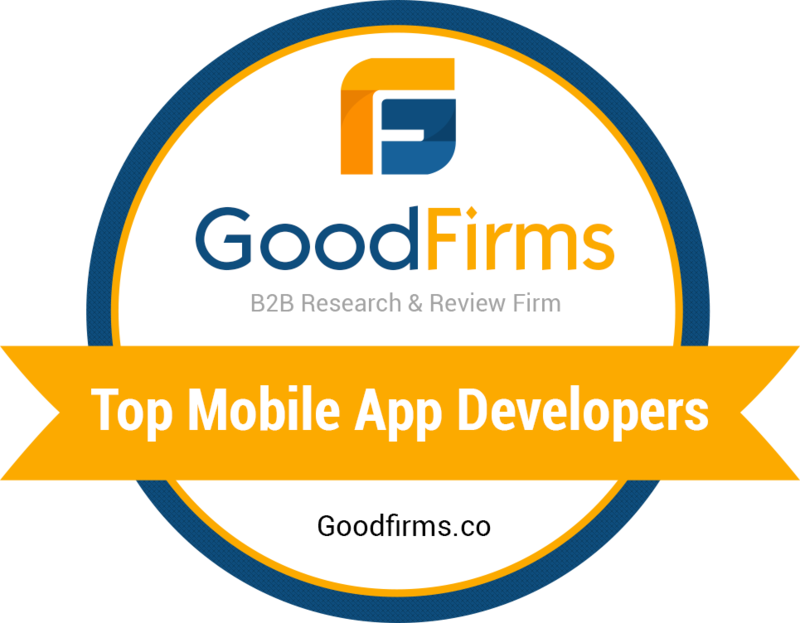 Hire our mobile app developers and website developers to get the innovative, creative and responsive mobile apps developed today. Adobe is the #world leader in the field of graphic designing. Adobe Systems empowers graphic designers by allowing to have every asset at fingertips. Great new features of graphic designing tools like Photoshop, Illustrator and many other powerful creative cloud apps enables you to take graphic designing to another level. Hire our expert UX/UI developers and experienced graphic designers for your apps and website development at hire a developer page !